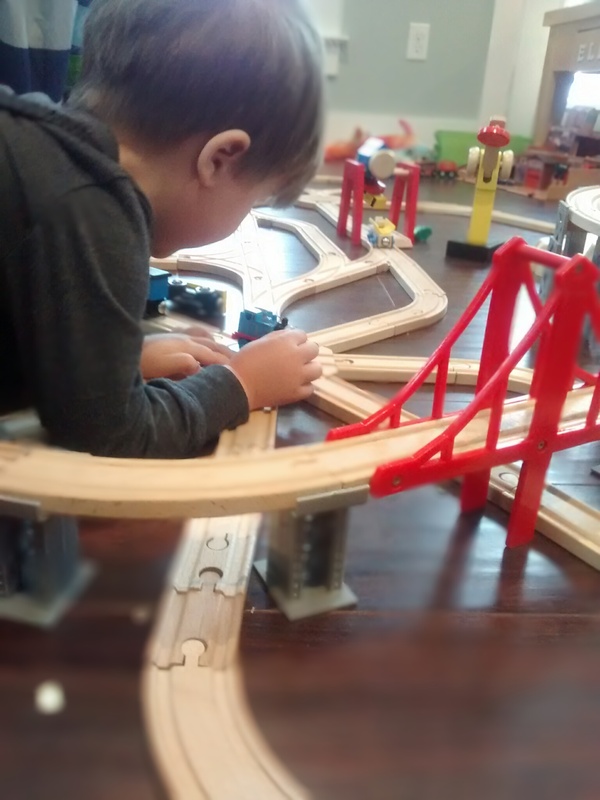 Yesterday Henry and I played trains. 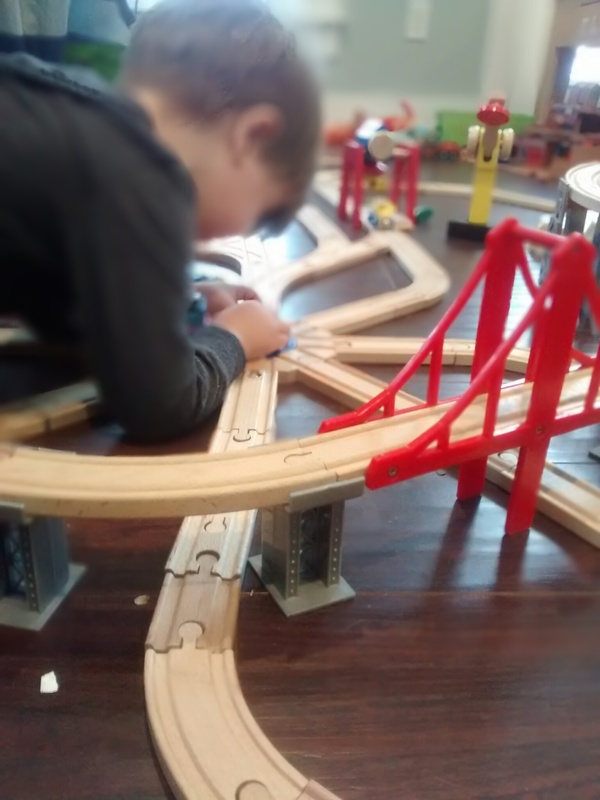 Both kids are getting very actively into imaginative play. 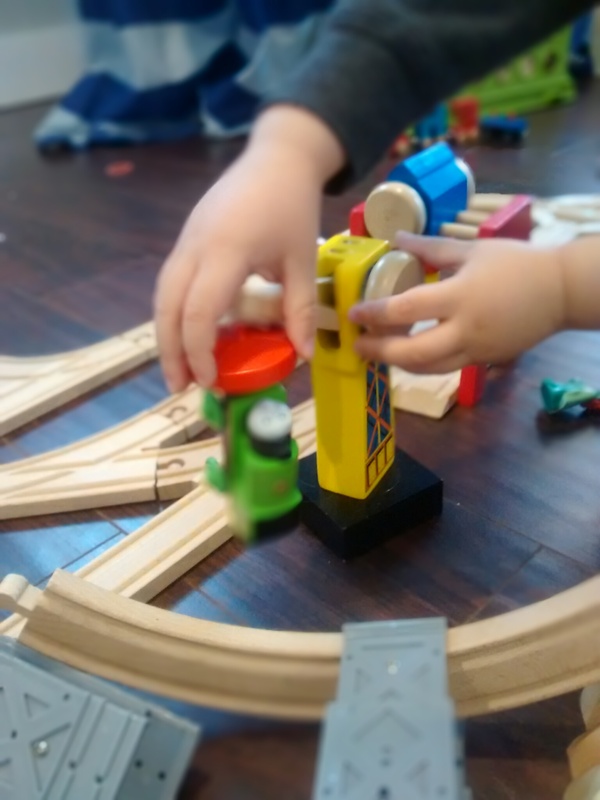 In this story, you’re just going to have to understand that any blue train is Thomas (including his Thomas train), any green train is Percy, and any red train is James. (Although, I think only an off-brand Thomas features here). 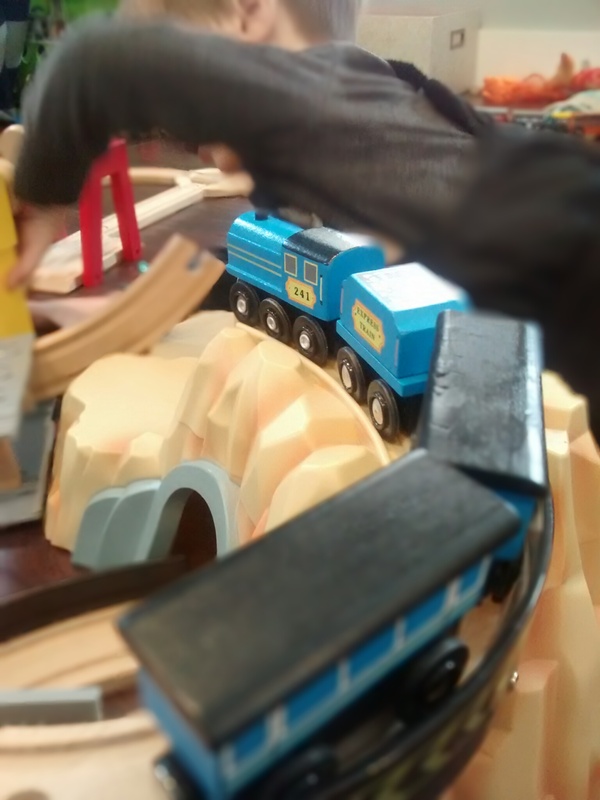 So Thomas was rolling through the mountains and oh no! The track is out! In the big catastrophe that took out the bridge (aka, Hurricane Henry), Percy needed Cranky the Crane to rescue him, so he could get hitched up to Thomas. While the salvage crew (me) was working on the bridge, Mavis (The Strongest Train on Sodor, according to Henry), rushed to shunt Thomas. 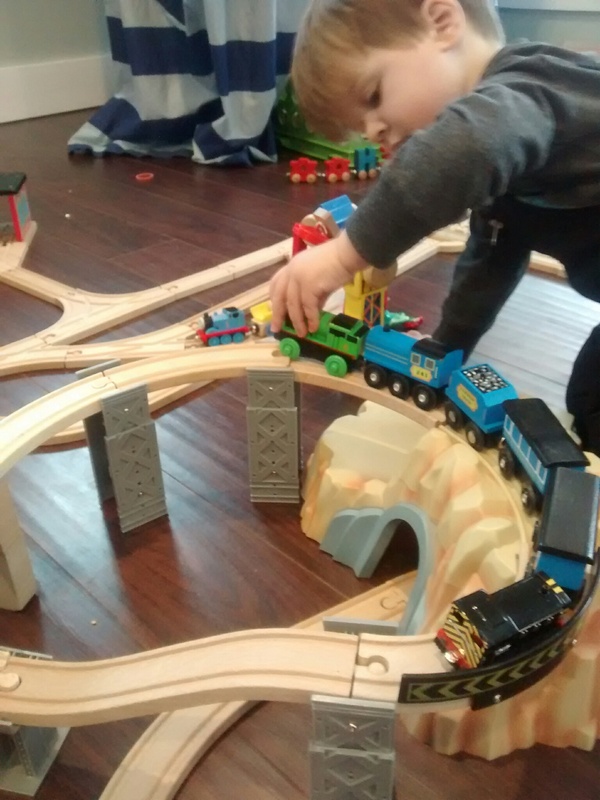 It is not clear why Thomas needed shunting, but (not pictured) we ended up with 6 engines, 3 coal cars, and two coaches coupled up on the mountain at one point. Here you can see that Percy has fully recovered and is going to help. A second Thomas trundles through the background, delivering nothing, to nowhere (typical Thomas). Success! Thomas is freed and continuing on his way with his coaches (he needs to deliver people to Knapford Station). 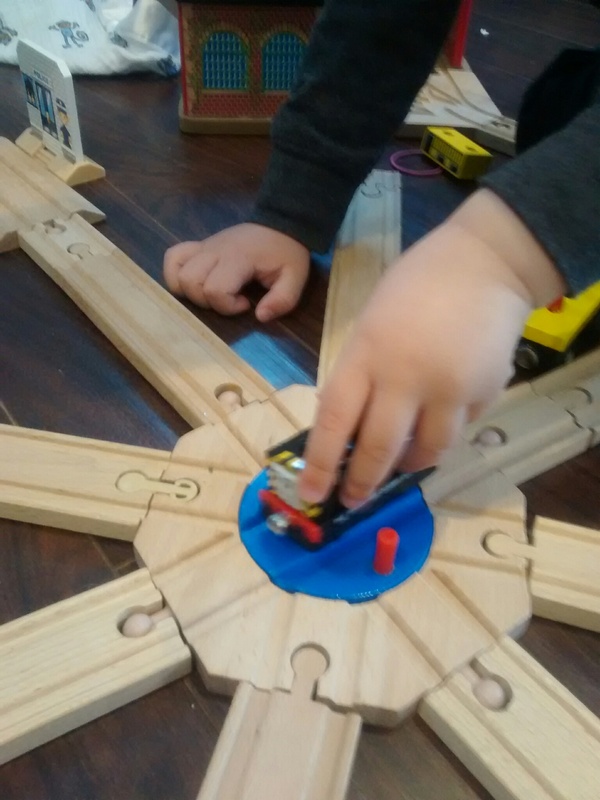 Finally, a day on the rails is not complete without a thorough turn about on the turntable (Henry’s current track configuration currently features two turntables, but zero microphones), in order to be uncoupled from the coal car / coaches and backed into Tidmouth Sheds. 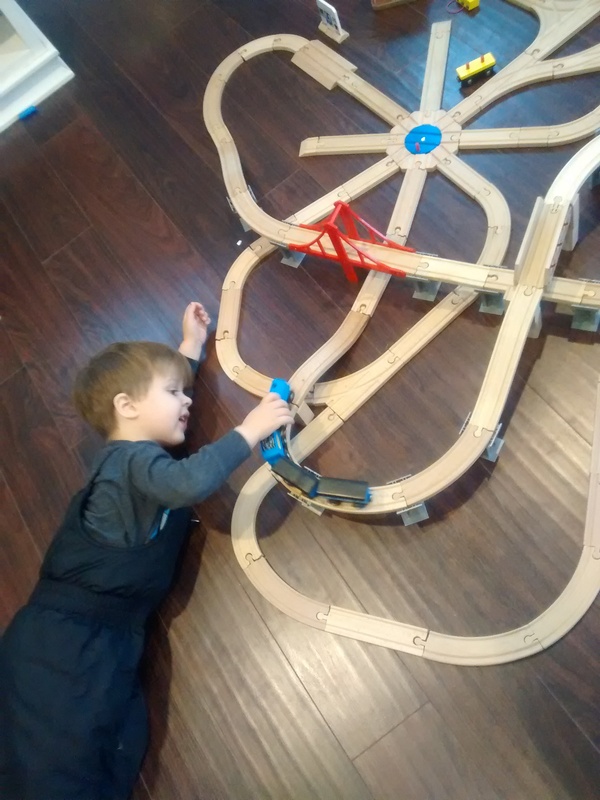 A truly responsible railroad baron.